It is easy and safe to sell domain names with Ukrnames! Note! Your domains for sale must be at the service of Ukrnames.com! Authorization. In order to sell a domain name (to sell domain name administration right), you need to undergo one time procedure of authorization of the seller. 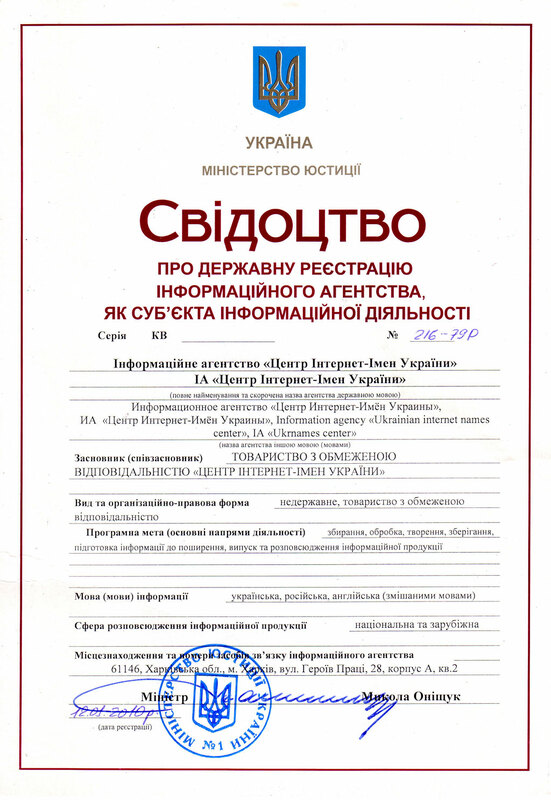 The seller's authorization procedure is the filling in of an online questionnaire and signing of Agency agreement with LLC «UKRNAMES». Sale. The buyer pays "UKRNAMES" company for the right to administer the domain name. After receiving the payment, the domain name is transferred to the control of the buyer. An internal account of the seller receives the agreed amount from the sale. Get profit. LLC «UKRNAMES» transfers money to a bank account or credit card of the seller from the internal account. You get money with already paid taxes and agency fees.